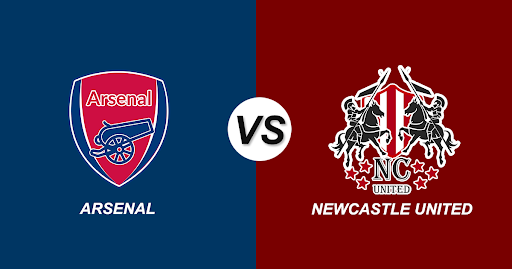 Home » Arsenal vs Newcastle United: Match Predictions, Playing XI and Score Predictions. Arsenal who had their past five winnings into account will be looking forward to maintaining their winnings. The Gunners are currently on the fifth spot, a point difference from Tottenham and Manchester United and ahead of Chelsea on goal difference. Hence a single loss will lead to some catastrophic loss adding more struggle in their destiny. Arsenal has been superb on the home ground this year, winning all six of their fixtures at the Emirates Stadium, hereby joining the likes of those English clubs to have done so, followed by Manchester City and Sheffield United. They are all set to break their 1997-98 record as they have already won their last nine Premier League home games and now have a chance to clinch their 10th with three more points. A win in this fixture will put them ahead in the race of Champions League. Mesut Ozil is likely to start his campaign with this match as he spent his last night training at the base camp. There will also be no Hector Bellerin, Danny Welbeck and Lucas Torreira, with the latter missing out because of a three-match suspension. While Newcastle has been resting well on the 14th place, giving up all their Champions League and Premier League hopes. The Magpies have lost 17 of their last 23 away Premier League games in London and are winless in last six visits in the capital. A loss in this fixture will give the ones below them sunshine of hope to rise back into the game. However, five wins and 2 draws out of their last nine matches have maintained some resistance in the team and will surely be enough to continue in the division for another season. Newcastle’s Fabian Schar will be suspended for this fixture following a head injury while playing for Switzerland. Benitez, who has taken just two points in his seven away Premier League games against Arsenal, must decide between Mohamed Diame or Jonjo Shelvey in central midfield. Probable Line-ups: Dubravka; Yedlin, Lejeune, Fernandez, Clark, Ritchie; Perez, Hayden, Shelvey, Almiron; Rondon. Arsenal has got a form that is dominating. Although Newcastle is desperate, the Gunners are in no mood to let go of their winning streak.